Allah has decreed that the messages the message of Prophet Muḥammad (ṣallā Allah taʿālā ʿalayhi wa sallam), unlike those of previous Prophets, remains intact to the Day of Resurrection to guide people to the Way to Him. He ordained that Muḥammad (ṣallā Allah taʿālā ʿalayhi wa sallam) be the last of His Prophets. The perpetuity of this blessed message is manifested in Allah’s direct intervention to protect the Qur’an from being tampered with and in the continued presence of perfect followers of the Prophet (ṣallā Allah taʿālā ʿalayhi wa sallam0 who put the commands of the Book of Allah into practice. These are the Sufi Shaikhs who emulated the deeds of their first Master (ṣallā Allah taʿālā ʿalayhi wa sallam), acting as his representatives among people. One very common misunderstanding about Ṭarīqa is equating it with renunciation, austerity, humility …etc and any such commendable practices of striving against the lower self. Struggling against the lower self is of course part of Ṭarīqa as there can be no attainment to Allah without it. But it is not Ṭarīqa itself. Renunciation and similar practices that cleanse the human soul to qualify the person to be drawn near to Allah were implemented throughout history by all people who attained to Allah. All Prophets and other righteous people before Prophet Muḥammad (ṣallā Allah taʿālā ʿalayhi wa sallam) practiced renunciation. It is true that Prophet Muḥammad (ṣallā Allah taʿālā ʿalayhi wa sallam) is the ultimate ascetic, but renunciation itself was certainly known before the commission of Prophet Muḥammad (ṣallā Allah taʿālā ʿalayhi wa sallam). So, what is Ṭarīqa then? In brief, Ṭarīqa is the special way of attaining to Allah that was followed by Prophet Muḥammad (ṣallā Allah taʿālā ʿalayhi wa sallam) which is related to his spirituality. The spiritual progress that Prophet Muḥammad (ṣallā Allah taʿālā ʿalayhi wa sallam) attained was never achieved by any other creature, human or non‑human, including Gabriel and the angels who are totally dedicated to the worship of Allah. This is why he is the greatest not only of Prophets but of all creation. 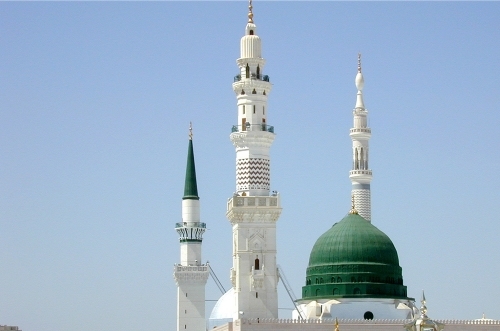 Due to its nearness to Allah, the spirit of Prophet Muḥammad (ṣallā Allah taʿālā ʿalayhi wa sallam) became a unique means of attaining to Allah to such degrees of nearness that cannot be achieved by any other means. Following Ṭarīqa simply means establishing and maintaining a spiritual link between the spirit of the seeker and the spirit of Prophet Muḥammad (ṣallā Allah taʿālā ʿalayhi wa sallam) who is permanently linked to the Greatest Spirit, Allah. The unprecedented spiritual development of Prophet Muḥammad (ṣallā Allah taʿālā ʿalayhi wa sallam) meant that even physical death could not affect his spiritual presence and attachment to Allah. Therefore, we can follow the Prophet (ṣallā Allah taʿālā ʿalayhi wa sallam) today and enjoy the spiritual benefits of his company as if he is present with us physically. But we cannot see, hear or talk to the Prophet (ṣallā Allah taʿālā ʿalayhi wa sallam) because we are not adequately developed spiritually. How, then, do we seek this vital spiritual link with him? This link can be established through a Sufi Shaikh. The Sufi Shaikh acts as the connecting ring between the Prophet (ṣallā Allah taʿālā ʿalayhi wa sallam) and the seeker. The Sufi Shaikh is present both spiritually in the spiritual world and physically in this world of mortals. Being spiritually attached to the Prophet (ṣallā Allah taʿālā ʿalayhi wa sallam), the Sufi Shaikh can act as the means through which the spirit of the seeker is linked to the spirit of the Prophet (ṣallā Allah taʿālā ʿalayhi wa sallam). Before departing from this world, the Prophet (ṣallā Allah taʿālā ʿalayhi wa sallam) named Imām ʿAlī bin Abī Ṭālib (karrama Allah wajhah] as his spiritual heir and ordered the Muslims to follow him. This appointment represents a Prophetic declaration that Imām ʿAlī is the spiritual Master who is attached spiritually to the Prophet (ṣallā Allah taʿālā ʿalayhi wa sallam) and must, therefore, be followed by other Muslims to remain linked to the spirit of the Prophet (ṣallā Allah taʿālā ʿalayhi wa sallam) after his departure from this world. Naming a Spiritual Master is a purely spiritual matter that is ultimately decided by Allah who passes the knowledge to the present Shaikh. This is why the Prophet (ṣallā Allah taʿālā ʿalayhi wa sallam) himself had to specify his heir. Due to the vital importance of this matter he kept on reminding the Muslims of his choice of Imām ʿAlī as a successor. One of the later such events occurred at “Ghadīr Khum (the spring of Khum)”, about two months before the Prophet’s (ṣallā Allah taʿālā ʿalayhi wa sallam) departure from this world. There, the Prophet (ṣallā Allah taʿālā ʿalayhi wa sallam) told all the Muslims in a huge gathering: “Whoever I am his Master, ʿAlī too is his Master. O Allah, be the supporter of he who supports him (Imām ʿAlī) and be the enemy of he who takes him as an enemy.” This is known as “Bayʿat Khum (the Pledge of Khum)”. There are many Prophetic sayings that inform us of the special status of Imām ʿAlī as the heir of Prophet Muḥammad (ṣallā Allah taʿālā ʿalayhi wa sallam) and the inheritor of his unique attributes. With his appointment of Imām ʿAlī as his spiritual heir, the Prophet (ṣallā Allah taʿālā ʿalayhi wa sallam) established what is known in Ṭarīqa as the “silsila (chain)” of Shaikhs. This refers to the continued silsila of Shaikhs of Ṭarīqa whose one end is the Prophet (ṣallā Allah taʿālā ʿalayhi wa sallam) and whose other end is the Shaikh at that particular time. Every Sufi Shaikh is himself spiritually linked to his predecessor and so on to the Prophet (ṣallā Allah taʿālā ʿalayhi wa sallam) who is linked spiritually to Allah. So, the seeker of spiritual attainment has to follow a Shaikh who would be his door to the spirituality of the Prophet (ṣallā Allah taʿālā ʿalayhi wa sallam) which draws the seeker near to Allah. Some Shaikhs had more than one of their followers promoted to being a Shaikh. But all silsilas of Ṭarīqa meet at the Prophet (ṣallā Allah taʿālā ʿalayhi wa sallam). So, Ṭarīqa is the way to Allah through the spirit of His most beloved Prophet, Muḥammad (ṣallā Allah taʿālā ʿalayhi wa sallam).